Paleo chocolate frosting made with only two ingredients: coconut milk and dairy free chocolate chips! 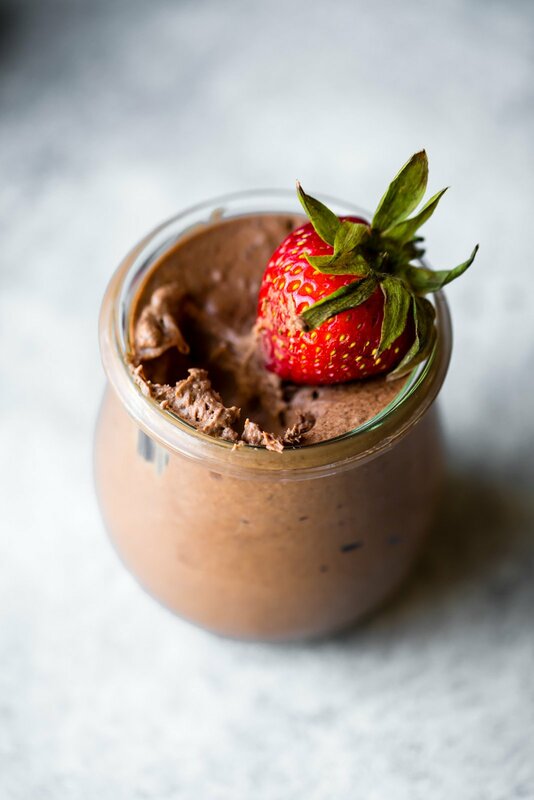 SO easy to whip up and doubles as a paleo chocolate mousse recipe or even a paleo chocolate fruit dip! 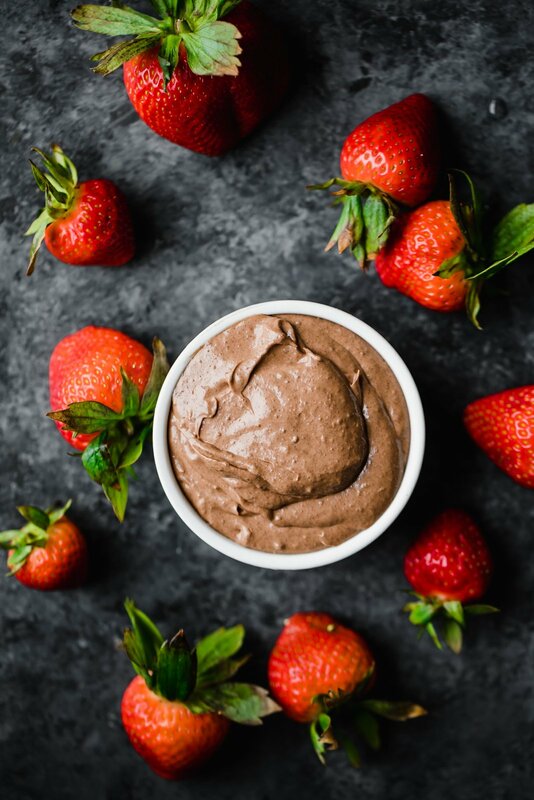 Have you ever dreamed that you could make a HEALTHY, less processed version of your favorite chocolate frosting?! Well, now you’ve can! 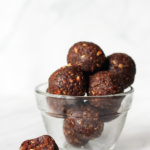 And you can do it with only TWO simple ingredients: coconut milk and dairy free chocolate chips (or paleo chocolate)! 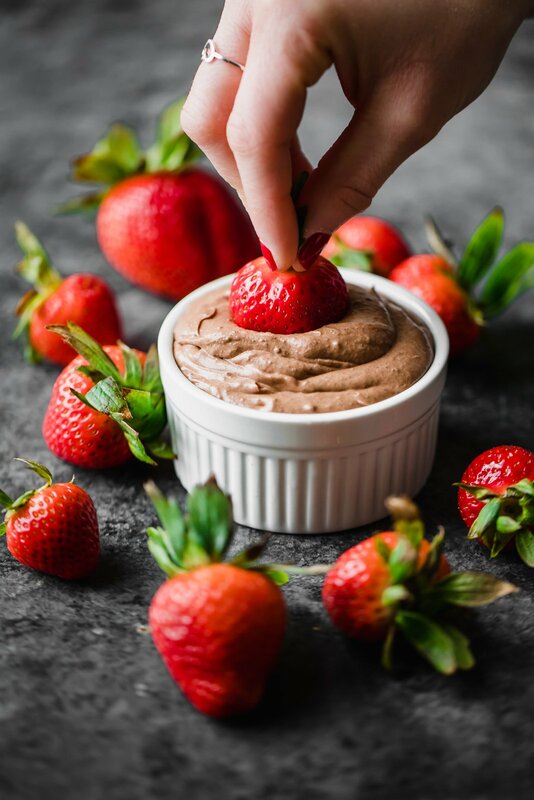 And as an added bonus, I’ve got THREE different ways you can use this recipe: chocolate frosting, chocolate mousse or as a delicious dip for fruit, graham crackers, or anything your heart desires. 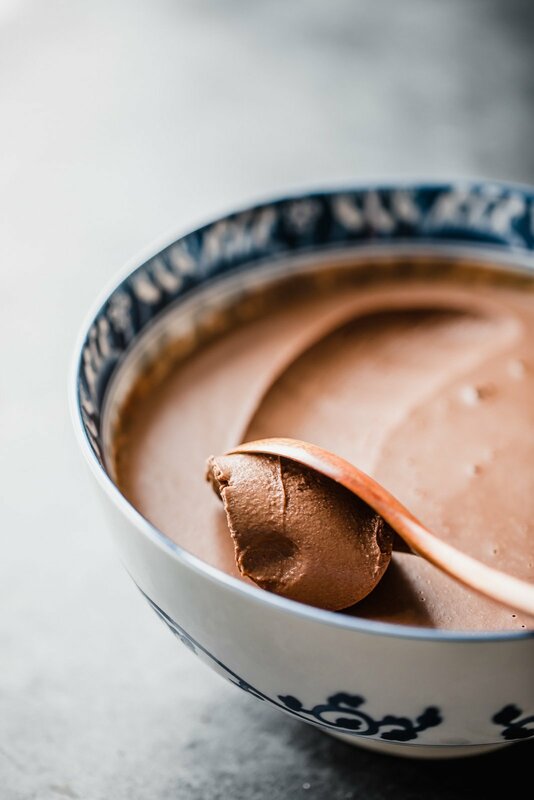 First, let’s talk about HOW to make this delicious, fluffy, thick paleo chocolate frosting (or dip! or mousse!). 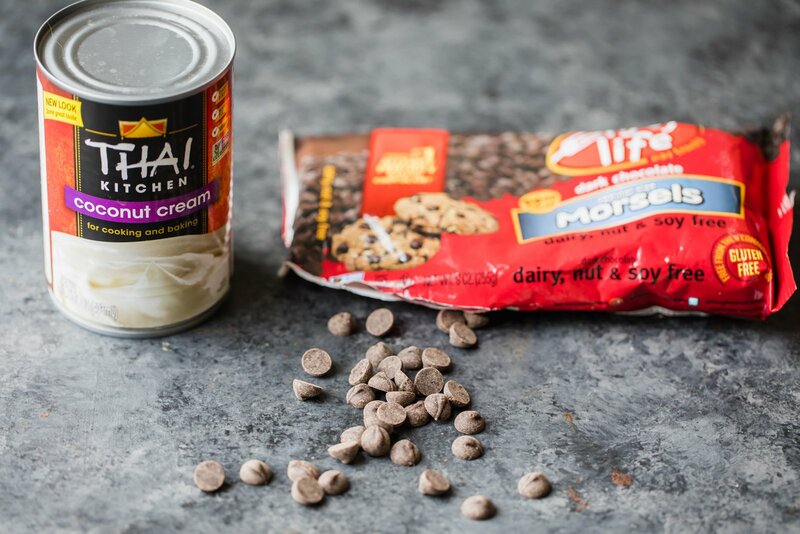 It’s simple: all you need is full fat coconut milk or coconut cream and chocolate chips. 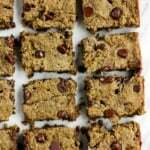 I prefer to use dairy free chocolate chips (like the Enjoy Life brand). I also like to use coconut cream but know it can be hard to find. So if you can’t find it, you can simply use TWO cans of full fat coconut milk (BUT only use the hard part and dump out the liquid!) Don’t worry, I’ve included instructions in the recipe. Basically you’ll add the chocolate chips and coconut cream (only the hard part) to a pot and place over low heat, stirring frequently until well combined and the chocolate is completely melted. Then you’ll transfer to a bowl and place in the fridge overnight to harden. The next day it will look like this. SO FLUFFY AND THICK AND EVERYTHING YOU’VE EVER DREAMED ABOUT. Whip it with a mixer on high (just like whipped cream!). Then immediately spread over a cake, or place into jars for chocolate mousse, or pour into a bowl for a fruit dip. SOOOO GOOD. DAMN THAT FRUIT LOOKS SCRUMPTIOUS. 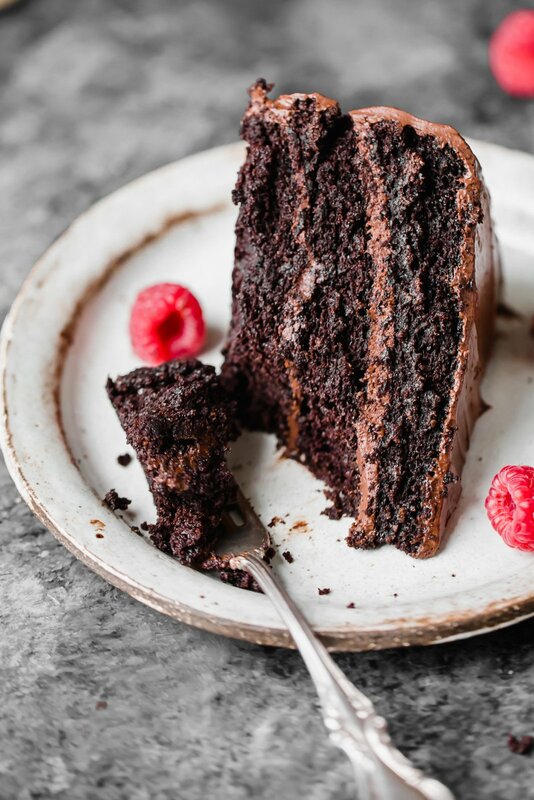 Or slather it over a very delicious PALEO CHOCOLATE CAKE. Everyone you know will thank you. 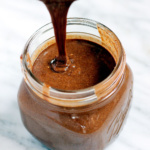 Now I’ve convinced you to make this easy paleo chocolate frosting, haven’t I? The cake did you in. Don’t deny it. 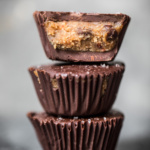 I hope you love this recipe as much as I loved making it for you! xo. First begin by making your frosting: Add the hard part of the coconut cream (DO NOT ADD THE LIQUID), the chocolate chips and a pinch of salt to a small pot and place over low heat. Whisk until melted. Transfer to a bowl, cover with plastic wrap and place in the fridge to harden for 6-8 hours or until hard. Overnight is best though! You can also do this portion a few days ahead of time. Scoop the hardened chocolate coconut cream frosting mixture into a large bowl. Use a hand mixer or Vitamix Airdisc container to mix frosting until peaks form and it looks nice, fluffy and creamy. Use immediately on a cake. Or pour into small mason jars to use as chocolate mousse/pudding or into a medium bowl for a fruit dip. Frosting should be kept in the fridge when not being used. After you frost the cake, the frosting will be good at room temp for 1 day, but will harden. If you can't find coconut cream, feel free to use two cans of FULL FAT coconut milk. Make sure to only use the hardened part of the coconut milk though and dump the liquid part. This will create a nice, fluffy thick frosting! 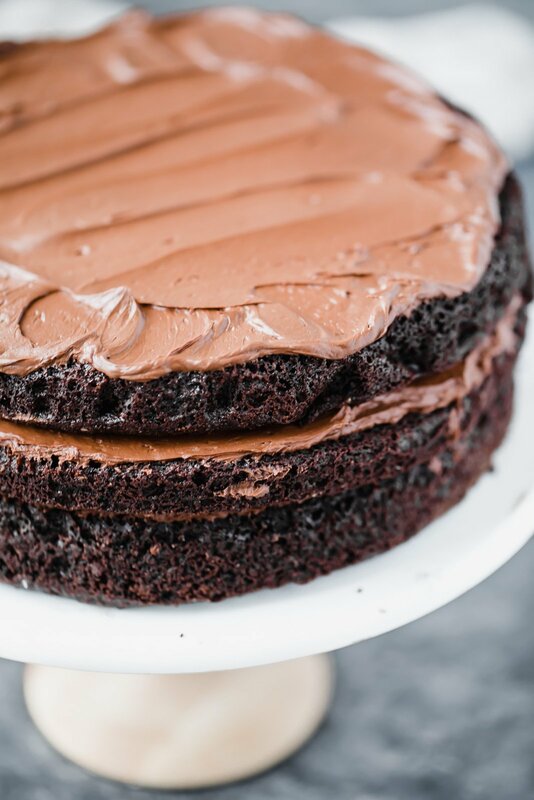 25 Responses to "2-Ingredient Paleo Chocolate Frosting (plus TWO other ways to use it!)" Oh my goodness! So simple but looks incredible! Will have to try soon! YES it’s seriously so good!! OMG! I’m all about those dips!! Looks so fluffy and delicious!! Boy oh boy, this might be the only kind of frosting I’d actually eat on its own! Growing up, I never really liked frosting on top of cupcakes and cake, but a light layer of something creamy and sweet does taste nice. I prefer having plain pastries and topping them with jam or nut butter if I want to! This frosting does look great as a dip too–I bet the strawberries taste glorious with it! Totally agree! 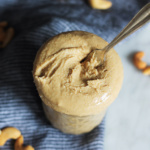 I’m a huge fan of PB on everything (as you probably know). This frosting is SO delish for dips and toppings you’ll have to give it a try! You’ve convinced me! The chocolate cake and the frosting look devine! I’ll put this on my ‘bake’ list for the weekend. Thank you. I found the coconut cream on Amazon just now. I purchased a case of 6 for $9.42. I thought that was a good deal! That frosting looks divine! Can’t wait to try it. 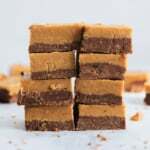 Do you have a recipe for that cake that is in the photo? Yes! The cake is here 🙂 Enjoy! What it you don’t own a Vitamix for the pudding. Can you just whip it with alters? 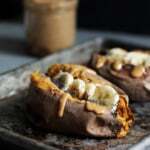 You can use another high-powered blender! Is there a strong coconut taste? Nope! It’s a very chocolatey taste. Oh my gosh! This tasted amazing!!! So smooth, so chocolatey, SO delish!!!! Yes! Such a great dessert! Do I have to let it sit for that long in the fridge? Will it work if I put in the freezer? You can freeze it for an hour or two! this is a top notch recipe keeper for of all time. It is 100% my favorite cake in the whole world and all I’ve made it for are in LOVE. I will never need a “regular” chocolate cake again! what a treat! So glad you love it Felicia!